This is our first family tent. There are 5 of us, my husband and I and our 3 small girls. With four bedroom pods there's plenty of room for all of us and the kids all have 'a room each' they think this is great! A good size tent for us. We've been away in it 3 times now and I have just reproofed it with some Nic wax water proofer as the last trip out it rained so much that we had a bit of leakage. I don't think this is a fault just very bad weather. It pitches really easily with me and my husband and is easy to pack away too. We have just bought the evolution extension but haven't used it yet but will upload a review when we have. Our first family tent having downsized from a folding camper. We love it ! We have used it twice - only 3 of us so plenty of space. Mum and Dad in the large bedroom, son in one of the pods and porta-potti in the other bedroom. So much space in the living area - actually felt more spacious than the folding camper. First night in the garden, but second trip to Kielder in Northumberland - poured all night but no leaks. Husband put tent up on his own with no problem - but obviously easier if we all help. Would recommend if looking for a spacious tent at a good price. We also found the larger bedroom inner tent a bit ill fitting - but managed okay. I recently purchased this tent and it is fantastic. Its is easy to pitch, but I would recommend having 2 people to pitch it. It is really spacious inside, we are a family of 5 and the tent is so roomy we could easily invite family/friends to camp with us. We put camped for a week and during that time there was bad weather; a force 8 gale with very heavy rain. The tent was fine in the wind and didn't let any rain in. The reason I have only given this tent 9/10 is because the large bedroom inner doesn't fit very well and we have had to use some D-rings to ensure a better fit. 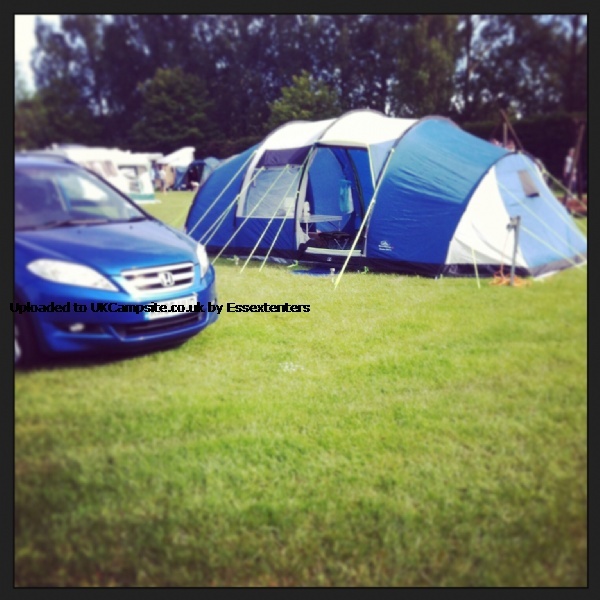 Overall we are very happy with this tent and would recommend it to any larger family. 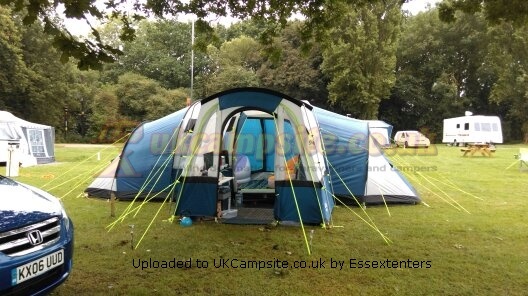 A really nice tent with loads of space eight berth, four bedroom pods which can be taken out, one can be turned into a double pod. Plenty of room in the living area for table and chairs a television and radio. So easy to put up and take down, would highly recommend to anyone looking for a good value family tent. Add your review of the Shadow 800 DL! covered front door, rear canopy door and a large front vented window.